Yay for new tv programs that started last week. Just in time too as I've finally worked my through all the Christmas tv I recorded. Dancing on Ice started last night, with half the contestants perfoming their first routine. 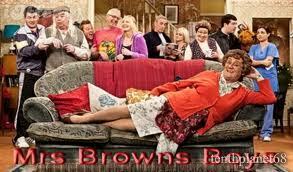 Mrs Brown's Boys started its second series. I gave the first series a go, not thinking I would actually like it but I loved it from the first episode. There was a Christmas special and we didn't have to wait long for the next series. Childbirth. Ouch. But I still love watching One Born Every Minute even if some of the dads irritate me. Come to think of it, so do some of the mums. But then they get a little teeny baby at the end. Awww. I am not broody. I am not. ... and the second was Who Dares Wins. I love them both but i do wish Who Dares Wins had a longer run. Eight episodes isn't enough. 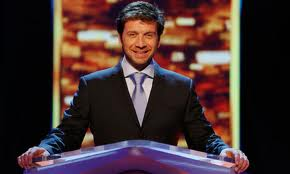 Pointless is great, even though I'm not very good at it! I got the Hustle box set for Christmas, although I haven't started it yet. Is it any good? I'm not that great at Pointless either (so I get very excited if I ever do get a pointless answer) but I think it's a brilliant idea for a show. Plus, I love Richard and Alexander. 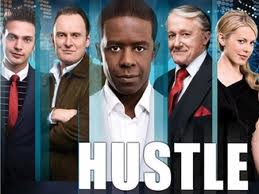 If I'm honest, Hustle hasn't been as good for the past few series. I still enjoy it and look forward to each episode but the first ones were brilliant.